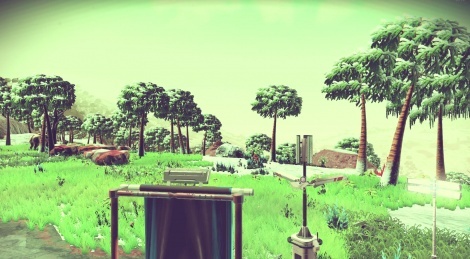 Its a real shame this game doesn't live up to the e3 demos and hype I don't think its down to dishonesty from Peter Molyn.. ahem I mean Sean Murray but a mismatch from what he wanted to make and what is reasonably possible with a small team and present technology that's why he said it would fundamentally change on the Neo. I also suspect but don't know as fact that the game was dumbed down a bit for the Playstation at the request of Sony ie. things like orbital physics and planetary physics as it it would have made it less accessible to less nerdy console owners. I also think that Sean Murray is told what he can and can't say by Sony (but sometimes slips up in interviews) and it was their idea to charge 60 dollars. 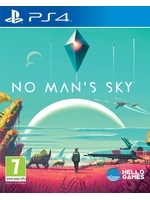 Hopefully Hello games can fix the game and make it somewhat resemble what they promised for the customers sake and the seemingly innocent Indie teams reputation but I suspect that might not be fully possible with present tech and the small development team. lol, I haven't been following this game, but seems about right. I love this game so much. And it runs perfectly fine on my i5, 16GB RAM and GTX 970. One thing I would like to change, is the "movement/weight ratio" of the creatures. They move the same, no matter how big they are. dangerous isn't quite the same as frontier. but i imagine once dangerous is finished it might be. does that make your suggestion of elite: dangerous any better? NMS is doing its own thing. for someone who can argue the minute differences between battlefield releases i honestly expected better. ...okay? I'm not really sure what this has to do with Battlefield. There are loads of games that do the Elite thing better than NMS. I just thought it was kinda funny to call it the spiritual successor to Elite 2. It's not a dig at the game at all. There are other things out there that are way more like Elite 2 than NMS. And I'm pretty sure you know it.